Christmas is such a magical time of the year and making memories with those you love is priceless. My best friend since junior high and I got together with her grand kids to make gingerbread houses this weekend. 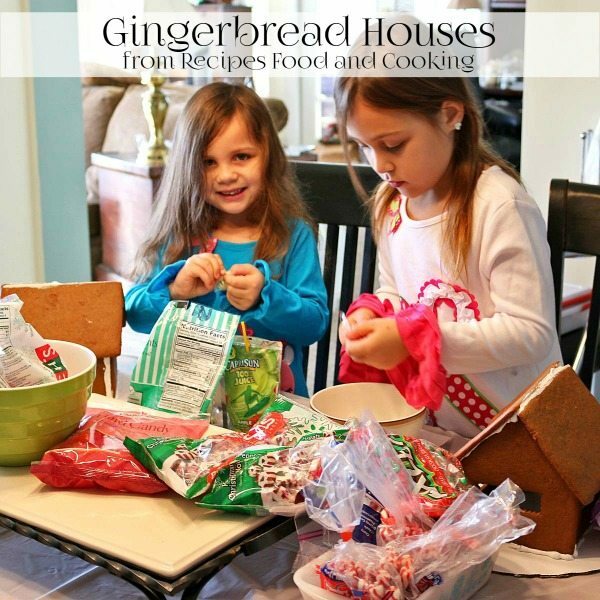 Last year I made one for them and a few weeks ago when we talked about getting the girls their dad said that he thought the girls would love making a gingerbread house. Zoe is 7 and Mahalia 5. I had never done this before with kids this young but I want to tell you they had the best time and were just amazing. We just may have one of the next Jr. Master Chef’s here. 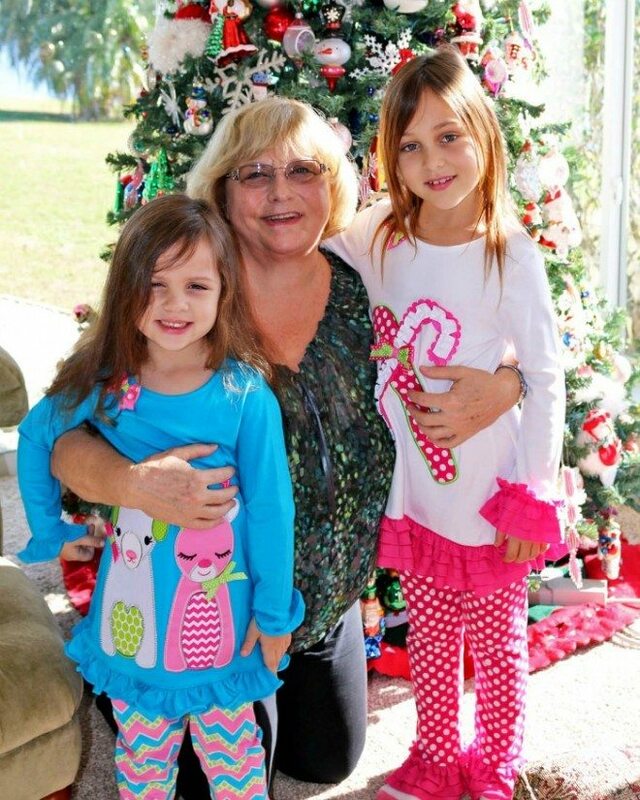 Here are the girls with their grandma before we started. I told them we couldn’t start until I got their pictures they really co-operated taking the pictures. They were also both frosting free still at this point. Somehow that royal frosting gets everywhere, I think we all had a dab or two somewhere before we finished. We also had B’s daughter here so we had 3 generations each doing a house. There were a lot of laughs and I’m not sure who had the most fun. The first thing we had to do was to unwrap enough candies to do the roof, we used 48 in case you want to know. They couldn’t wait to get the candy unwrapped so they could start doing their roof. If you can do it ahead of time you could unwrap the candies which would shorten a little bit of the time which helps with keeping the younger ones interest. There is a list here if you want it if you want some candy suggestions, for Christmas I tend to use red, green and white candies. The dollar store or a bulk food store are both good sources for candy. 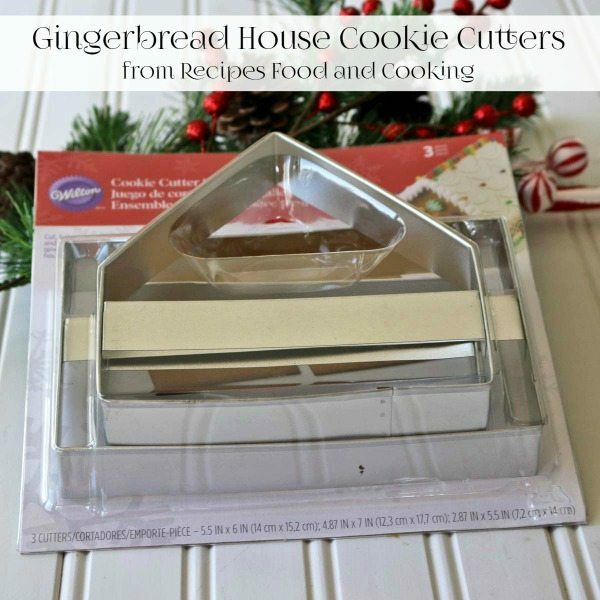 I baked 4 houses total, you can get 2 houses from each recipe of gingerbread if you use the Wilton cookie cutters that we did or find a pattern for a smaller house. These houses are about 8 inches tall and the side walls are about 8 inches too. 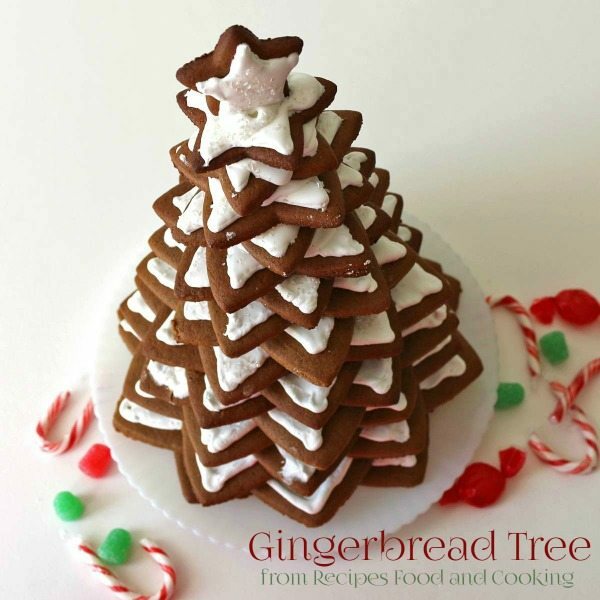 You want to bake the gingerbread at least 2 days before you decorate them. By the way your house will smell amazing while they’re baking. 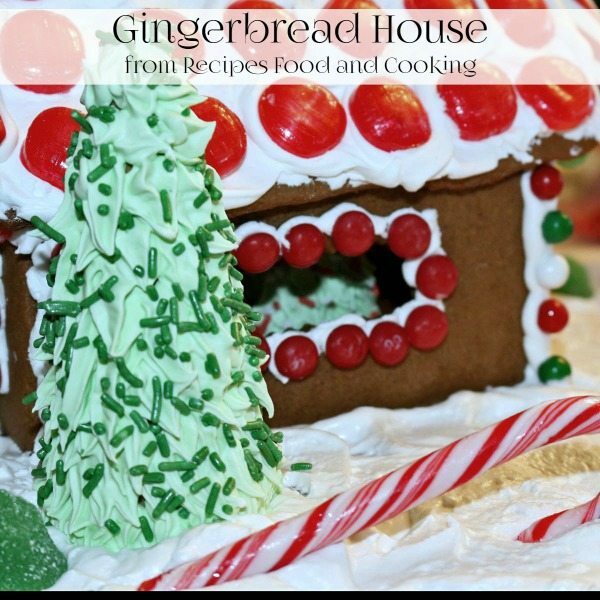 Every time I walked into my kitchen the smell of gingerbread was in the air. I leave the baked pieces out on wire racks so that they can dry out. I constructed them the night before so the houses were ready to go when the girls got here. You need to make a batch of Royal Icing to decorate the houses with and to stick them together. One recipe should do one house depending on how crazy you get. We used 1 recipe per house, the biggest use of it is covering the ground area. I use canned food to support the pieces when I first put the walls together. To put the houses together run a line of royal icing along the bottom and side edges. I usually start with the back wall and a side wall to see where I want to place them on the cardboard base. 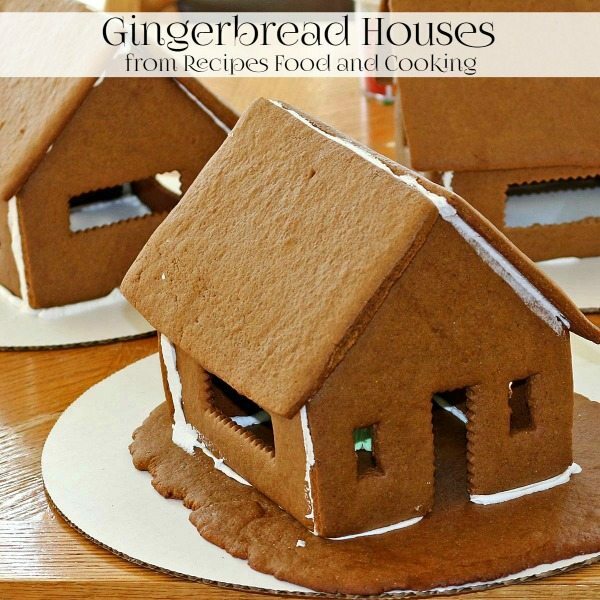 If you have extra gingerbread you can bake a piece of dough to build the house on but you still are going to want to do it on a cardboard base just for stability. The base is going to be covered with royal icing so it’s up to you. After you get the walls all up I try to let these dry some before adding the roof pieces, a hour will do but 2 is better. Don’t forget to remove the can from the inside if you used one for support. I’m not going to tell you why I find it necessary to tell you this, If you want a tree on the inside, now is the time to add it before you add the roof. If you look at the picture below you can see a tree inside of the house. Usually when I put the houses together I also make the trees. This gives them time to dry overnight. The trees are made from ice cream cones. You can also use a large marshmallow for shrubbery if you want. Grape stems with the grapes removed and dipped in chocolate make great winter trees too. I stick them on a toothpick to put the icing on them. The tube you use as Wilton #67 for the trees. Also in the yard you can add Tootsie Rolls for a log pile, 2 Candy Canes, a Chuckle and a rope licorice make a sled . Candy Canes, pretzels, gumdrops all make great fences and a few peppermints can make a walkway. Let your imagination go and see what you come up with. I usually start with the roof or the sides of the house. For the girls houses we helped them with the icing part of it but they put the candy on all by themselves. They both did amazing! So if you’re wondering if your children are too young to do this the answer is no they’re not. It took about 2 hours for the houses to be decorated and the younger one did loose a little focus but she would play with the dogs for 10 minutes and then come right back to it. Grandma helped her a little but she did all of the candy. That’s her house at the top of this post. They had so much fun and so did we. We decided while working on the houses that we were going to make this a new tradition every year. As soon as they finished them they wanted to eat them. Zoey didn’t even want to wait until her mom and dad could see her creation. I made her settle for a gingerbread cookie and candy. As soon as she got home she was ready to eat it. Her dad told her he wanted her to wait at least until their other grandmother and brother got to see them. Something tells me that after we left she won her battle for a bite of the house. 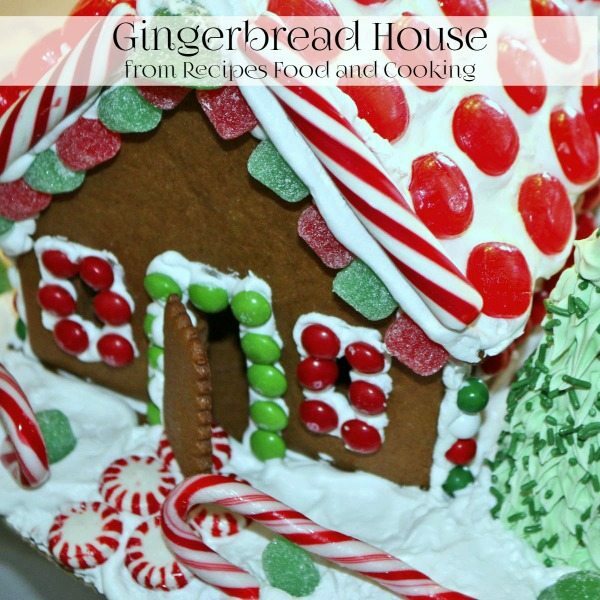 A traditional homemade Gingerbread House recipe. Thoroughly mix together the flour, soda, salt and spices. In a saucepan melt the shortening. Let cool slightly and add the sugar and molasses. Add eggs when cool. Add the oil mixture to your mixing bowl fitted with the paddle attachment. Add 4 cups of the flour. Mix together thoroughly. Add remaining flour a little at a time to make a stiff dough. Roll out the dough on the back of greased cookie sheets to about 1/8th inch thick. Lay your pattern pieces on top and cut out with a knife or pizza cutter. 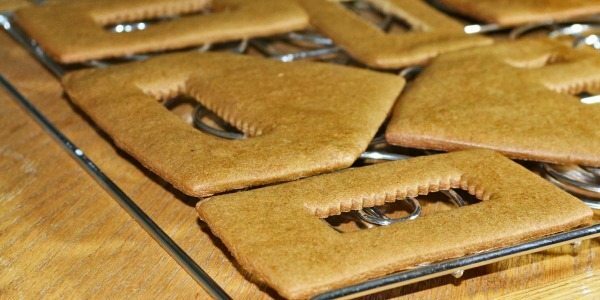 Place cookie sheets in the refrigerator for 15 minutes. Preheat oven to 350 degrees. Bake for about 6 minutes for smaller pieces and up to 12 for the larger pieces like the roof. Let set on the cookie sheet for a few minutes before removing to a wire rack to cool. Let pieces dry overnight before assembling. Beat all ingredients at low speed for 7-10 minutes (10-12 minutes at high speed for portable mixer) until icing forms peaks. Keep icing covered with a damp cloth when not in use. Note: Royal icing should have good body and be moderately stiff: It will not create a lasting bond if too runny and soft. For snow, I sometimes add a few drops of Karo Syrup to thin it just a little for a softer look. Small Gingerbread House with links to my other gingerbread houses. Mary Ellen is the writer and creator of That’s My Home, Recipes, Food and Cooking, and Razzle, Dazzle Recipes. Mary Ellen loves to cook and bake and learned to cook watching her grandmother, mom and aunts in her grandmother’s busy kitchen. It was a magical place where it seemed as if the pot never emptied and there was always room at the table for one more. It seems only natural that she would love to cook and bake so much. She worked in her uncle’s restaurant all through school and continued on a culinary path for about 15 years including being a pastry chef at a big hotel. She even owned a bakery for a short time.